Former governor of Arkansas and presidential candidate Mike Huckabee has defended HBO host Bill Maher despite their many disagreements on religion and other matters, after Maher invited controversial libertarian Milo Yiannopoulos on his show despite criticism from liberals. "I've been questioned in the past about why I appear on Bill Maher's show, knowing that there isn't much we agree on. Whatever you might think of Bill's personal views, he's a staunch defender of free speech and believes, as the Founders did and as I do, in a marketplace of ideas where the public can decide who's right by hearing free and open debate," Huckabee wrote on Facebook. Maher came under fire for inviting Breitbart's Yiannopoulos, who is openly gay and a supporter of President Donald Trump, on his "Real Time" show on Friday, where the two agreed on the subject of free speech. "I think you're colossally wrong. 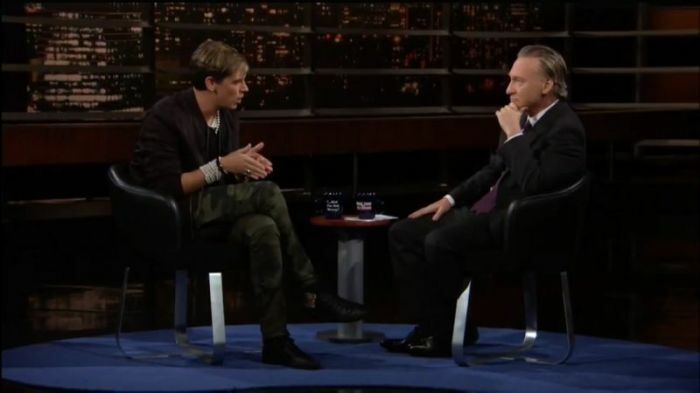 But if I banned everyone from my show who I thought was colossally wrong, I'd be talking to myself," Maher said while speaking with Yiannopoulos. "If you don't show up to debate, you lose," the guest agreed, touching upon journalist Jeremy Scahill's refusal to appear alongside Yiannopoulos. Scahill had argued that he does not want to give "a large, important platform to openly advocate his (Yiannopoulos') racist, anti-immigrant campaign." The Breitbart News editor said that all he cares about is "free speech and free expression," however. "I want people to be able to be, do and say anything. These days, you're right, that's a conservative issue," Yiannopoulos said, according to The New York Times. Maher also addressed his audience by stating: "Stop taking the bait, liberals." Yiannopoulos has been barred from speaking from several colleges, NYT pointed out, with the University of California, Berkeley, also recently withdrawing its invitation to have him speak at the school's College Republicans group, after violent protesters led a riot and caused about $100,000 in damages. Huckabee, who is a former pastor, has defended Christianity on a number of occasions on Maher's show. "If you look at television shows and movies, you'll be hard-pressed to find a sitcom in which Christians, which do represent a significant part of the population ... you won't see them presented as normal, decent people," Huckabee said in an appearance in March 2015. Maher pointed out, however, that Christians are a majority in the U.S.
"I hear this all the time from social conservatives like yourself," the atheist HBO host said. "You feel put upon, you feel like somehow the world is against you. You're 80 percent of the country, you have the vast majority. Even in the blue states, most people are religious, most liberals still follow a religion, most Democrats do. I'm the only one sneering at you. No one else is." In his latest post, the former governor of Arkansas said that Maher at least invites him onto his show, while a lot of other liberal hosts refuse to do so. Huckabee accused liberals who want to censor speech by calling everything they disagree with "hate speech" of having themselves to blame for losing in American politics. "Forcing unpopular policies that don't work onto the voting public also has a bit to do with it. Along with endless temper tantrums and obstructionism, physically assaulting people who wear red MAGA caps, and turning every Hollywood awards show into a rerun of the Democratic Convention," he added.